NVIDIA has published a new set of WHQL graphics drivers for all GeForce-based graphics cards. R387.92 adds support and optimizations for Middle-earth: Shadow of War, The Evil Within 2, and Forza Motorsport 7. R387.92 is also the first WHQL driver with OpenGL 4.6 support. Previous OpenGL 4.6 drivers were intended to developers. Any idea if the linux version too support SPIRV ? I am not able to see it in glxinfo or the GL-Z app with 387.12 drivers. 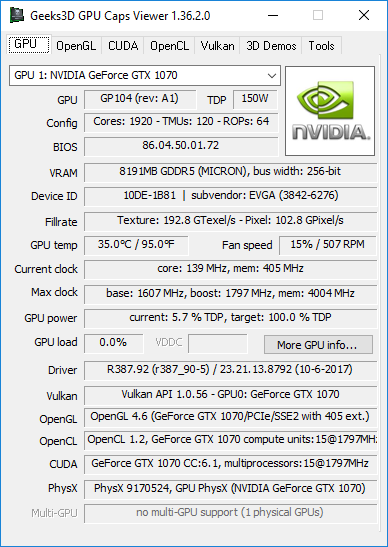 Nvidia GeForce 388.00 WHQL driver.